Land Rover has announced a new, four year partnership with Premiership Rugby which will run to the end of the 2015-2016 season and build on a successful eight year relationship between the two organisations. This new partnership includes the continuation of the ground-breaking Land Rover Premiership Rugby Cup, a nationwide grassroots tournament for under 11s and under 12s. 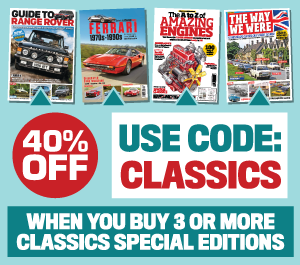 This tournament aims to inspire youngsters in the sport to be like their rugby heroes and Land Rover has already enabled more than 30,000 children to take part over the last four years. 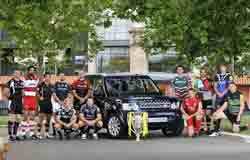 Land Rover will also be providing Discovery 4s to all Premiership Rugby clubs’ community departments to help them with the development of the game. Premiership Rugby is a key part of Land Rover’s growing portfolio of rugby sponsorships, including its Worldwide Partner status for Rugby World Cup 2015. These partnerships enable rugby fans, Land Rover customers and staff to experience Land Rover’s brand philosophy and connect through a shared passion for the sport. Land Rover’s support of Premiership Rugby is a part of the company’s well-established, long-term relationship with rugby which includes Rugby World Cup 2011 in New Zealand, the British & Irish Lions tours in 2005 and 2009 to New Zealand and South Africa, Top 14 Orange in France as well as the 2011 Shanghai Sevens and Emirates Airline Dubai Rugby Sevens in 2011.